Are you interested in learning to shoot a rifle? Well First Step Riflery is the camp for you! In this camp, students will get to learn about gun safety and basics of safe gun handling, and develop marksmanship skills using quality air rifles. This camp will be much more than just shooting holes in paper as there will be lots of really fun games, a variety of targets, and challenging activities. This camp is for students going into grades 2 - 6. Develop your riflery skills even more with our Locked and Loaded camp. In Locked and Loaded, students will shoot .22 rifles that we provide. Students will enhance their shooting skills while continuing to practice safe techniques. Students will get to participate in fun shooting games, such as shooting galleries, distance shoots, exploding eggs and so much more! This camp is for students going into grades 4 - 8. Please note: First Step Riflery Air Rifle camp is not a prerequisite for this camp but it is encouraged for our younger shooters. Have you ever wanted to become a sharpshooter? Well here’s your chance! During the Sharpshooter Academy, students will learn to maximize their ability with .22 rifles with scopes to make precise shots while also concentrating on breath control, trigger control and many more factors! This camp will push students to the next level with farther distances, smaller targets and competitions that will really challenge their accuracy! Along with sharp shooting activities, students will also focus on safe firearm handling. This camp is for students going into grades 5 - 8. Archery 101 is designed to introduce campers to the wonderful sport of archery. Whether you were inspired by Merida or Robin Hood himself, this is the perfect opportunity to learn the basics of archery like how to stand, aim, and shoot properly. Through fun activities, campers will learn confidence in sport, in life and in faith. This camp is for students who are going into grades 2 - 5. This camp, a step up from Archery 101, will focus on further developing skills. In this camp, archers will be introduced to new games that will challenge and strengthen their skills with a focus on consistency. They will shoot further distances, have some friendly competitions, and win some prizes! 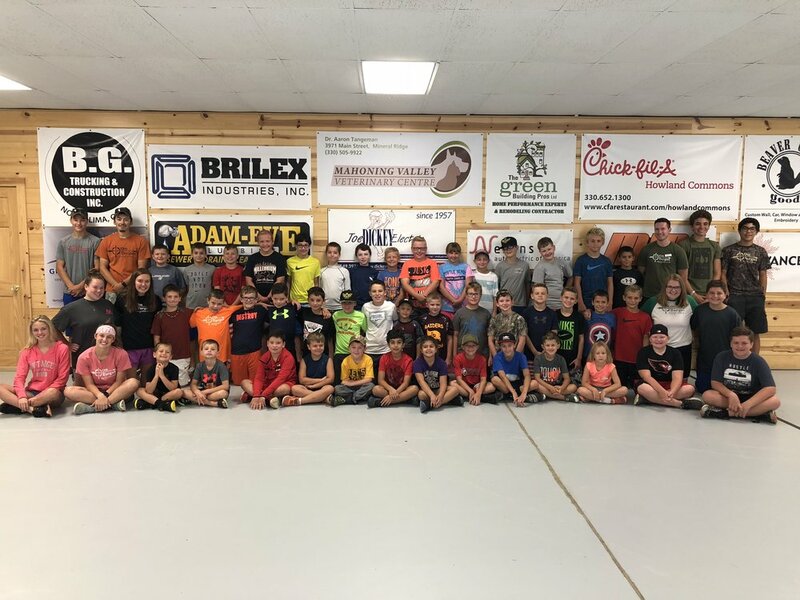 This camp is for students going into grades 3 - 6 who have completed an Archery 101 camp, after school program or other archery program with On Target Outfitters. The focus of our most prestigious archery camp, X-Ring Archer, is to improve concentration and perfect form in shooters. Activities involved in this fun week of skill development include a full 3D course and making personalized targets that campers can take home. This is a great camp for students with their own bows as we will be spending time doing individual lessons on how to use sights and releases along with many different group games and challenges. This camp is for students 4 - 8th grade. As technology continues to develop and infiltrates much of our children’s attention, we think it’s really important to go back to the basics…… or off the grid! What would you do if you went camping without technology or found yourself in a situation with no phone service or WiFi? Join us this summer in our new camp that will incorporate some survival skills and techniques into an awesome camp full of games and challenges! Learn some important first aid skills, navigation, how to filter water, how to build a shelter, and so much more. Off the Grid will include an optional overnight on Wednesday night. The boys will camp off the grid (with our camp counselors nearby, of course!) Pickup is on Thursday morning at 10 AM. This 3-day camp is for boys going into grades 5 - 8. As technology continues to develop and command the majority of our children’s attention, we think it’s really important to go back to the basics, or off the grid! What would you do if you went camping without technology or found yourself in a situation with no phone service or WiFi? Join us this summer in our new camp that will incorporate some survival skills and techniques that are all technology free into an awesome camp full of games and challenges! Learn some important first aid skills, navigation, how to filter water, how to build a shelter, and so much more. Off the Grid will include an optional overnight on Wednesday night. The girls will camp off the grid (with our camp counselors nearby, of course!) Pickup is on Thursday morning at 10 AM. This 3-day camp is for girls going into grades 5 - 8. This is a great camp for students who can’t decide which activity they want to try, or who want to try a variety of activities during their time at camp! Each day will be something different. It’s a camp filled with fun challenges and games to develop many different skills. Included in the camp will be archery, riflery, paintball, blowguns, tomahawks, archery tag and a hunter-gatherer day. Students get to learn about a variety of shooting sports, hunting, tracking skills, fire building, and cooking over a fire! It’s a camp for the ultimate outdoorsman/woman! This camp is for students going into grades 5 - 8. (NEW) Ultimate Outdoors Camp Jr. Similar to Ultimate Outdoors Camp, but this camp is for students going into grades 2 - 5. Campers will get to do a variety of activities to turn them into the ultimate outdoorsman/woman! We will try archery, air rifles, target paintball, survival skills, and more that are modified perfectly for our younger campers! We know how much you guys love Fortnite and we are so excited to be bringing this video game to life, On Target Outfitters style! We have asked many kids for ideas and we have gotten some great feedback from you guys. Join us this summer for Fornite in real life - there will be a training obstacle course, skin design, fort building, battles, and of course, victory dances! Grab your friends and join us for a Battle Royale! This camp is for students going into grades 4 - 8. If your kids have been to camps here before, you know how hard it is to get them away from the games at pick-up time. Well, we created this camp so they could get their game on all day! There will be Four Square, life-size board games, Giant Foosball, Capture the Flag, and SO MUCH MORE! The tournaments will get crazy and the prizes will be awesome! Grab your friends and come ready to play! This camp is for students going into grades 4 - 8. Creative Outdoors is an arts and crafts camp for all ages! This camp will feature so many different hands-on activities that will allow you to express your creative side. Some of these will include sun printing, wood burning, repurposing used materials, and so much more. The possibilities are endless and we cannot wait to start crafting with you! Please note that Creative Outdoors can accommodate many ages and we want to encourage interactions within the ages groups through this camp. So lets inspire each other through nature and art! This camp is for students going into grades 2 - 8. You always hear people talking about a worse case scenario, like being stranded on an island, zombie apocalypse, lost in the woods, a natural disaster, but what would you actually do in one of those situations? Join us this summer to learn some skills to help you escape some of the worst situations we can come up with (but in a fun way, of course). Everyday is a surprise so come prepared for the worst! This camp is for students who are going into grades 5-8. Do you have a child between the ages of 5 - 7 years who would love to be a part of one of our days camps but are just not old enough or not quite ready for a full-week program? Our Jr. Adventure Camp is a 1 day camp designed just for them. Jr. Adventure Campers will get to experience a sample of some of our more popular activities like fishing, archery, nature exploration, outdoor crafts, paintball target shooting and more. These camps are staffed with much smaller ratios so that students get a lot of personalized attention assuring a great experience. It will be a lot of FUN!!! If students want to participate in more than one day of Adventure Camp, the activities will vary some from day to day giving a bigger variety of experiences. This camp is designed to introduce students to the sport and tradition of hunting. An emphasis on safety, marksmanship, ethics and conservation are key components every day. Time in the woods checking trail cameras and looking for tracks and other signs move students from the classroom out into creation. Participants in this camp are invited to come back on Thursday evening for no additional cost to complete the Ohio Hunter Education course and get their certificate required to purchase their first hunting license. Do you have a passion for fishing? This camp is the one for you. We will teach you the basics of fishing, like how to put a worm on a hook, knot tying, casting, and more. Along with your new fishing skills, we will teach you about the great lakes and different types of fish. There will also be a day where we get to clean, cook and eat some fish! Educational and fun! There will be daily fishing challenges where fishermen can earn prizes for their skills as well! Come on out and make sure to scream FISH ON really loud when you catch a fish! This camp is for students who are going into 1-6 grade. We are so excited for summer 2019. We can’t wait to see some familiar faces and some new ones! See you soon!